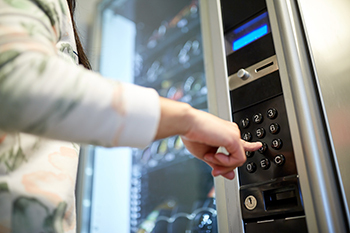 Not only can we supply and maintain your vending machine, we can stock it with a wide range of drinks, crisps, snacks and confectionery. A full site survey will be taken in advance, and any potential issues ironed out before the arrival of your machine. Our installation engineer will install and set up the machine, stocking it with your chosen items. After testing and fully commissioning the machine, the engineer will offer staff training, so that you get the most out of your machine. We offer a range of maintenance packages from a basic level of cover to a fully monitored service. As part of our fully monitored care we will handle the refilling of all products, emptying waste and overflow containers, cleaning and emptying drip trays and drink stands.